Apple will consume 18 percent of global sapphire ingot output making the displays for the Apple Watch, according to a new report coming out of China’s supply chain. This adds up to a whopping 30.8 million millimetres of two-inch (diameter) sapphire ingots in total. Wall Street Forensics Senior Analyst Matt Margolis tells Cult of Mac that sapphire for Apple Watch is sourced from Aurora Sapphire and HTOT, both of which are mature sapphire growers. The Apple Watch represents the first time HTOT has supplied sapphire to Apple. The Apple Watch displays are then finished (e.g. 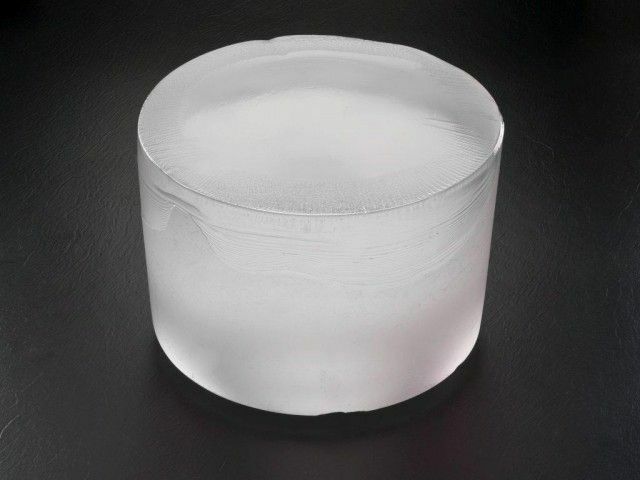 cut and polished) by Lens Technology and Biel Crystal Manufactory, two China-based cover glass makers, which are also likely to be the main suppliers of sapphire covers for Apple Watch going forward. This isn’t the first time Apple has used sapphire in one of its products, since Lens and Biel also finish the sapphire used for both the iPhone’s camera lens and Touch ID sensor. Apple (infamously) tried to include sapphire displays for the iPhone 6, courtesy of an agreement with GT Advanced Technology, which wound up collapsing after GT proved unable to produce sapphire ingots to Apple’s specifications. With the Apple Watch, the job is easier since Apple is no longer having to produce sapphire in the size or quantities it required for the iPhone. Based on orders received by Biel and Lens, Apple will be shipping an estimated 15-20 million units of the Apple Watch in 2015: a massive number, but well under the 74.5 million iPhones Apple sold in the last quarter of 2014 alone.